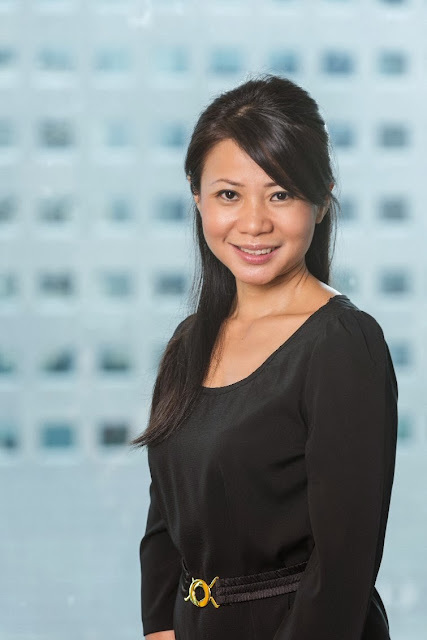 As a follow up to our recent article on online payment trends in Malaysia, we speak to Audrey Ottevanger, PayPal's Country Manager for Malaysia & Philippines and gather her input from PayPal's perspective. Why only 50% of top e-commerce websites in Malaysia are accepting PayPal? While we're not able to comment on the research sampling, Malaysia is a very important market to PayPal, and we are committed to driving e-commerce and innovation in Malaysia. We partner with businesses of all sizes, from larger merchants like Maxis, Malaysian Airlines and Golden Screen Cinemas, to Small & Medium Enterprises (SMEs) like Milktee and Fictron, enabling them to accept payments from customers in Malaysia and around the world faster, safer and more conveniently. Quick PayPal facts: PayPal revenues represented 42% of eBay Inc. revenues in Q3 2013. PayPal is a one-stop solution for SMEs to accept credit card and PayPal payments in just a few clicks, without sharing financial information. We offer small enterprises that have traditionally found it hard to accept payments, a faster, more secure and simpler way to get paid on multiple platforms, without the hassle and expense of obtaining a merchant account. PayPal has one of the most extensive global networks with 138 million active accounts in 193 markets. PayPal's support for multiple currencies (up to 26 currencies) provides a passport to customers around the world. PayPal's immense presence in markets around the world, as well as its international trust and recognition as a payment solution provides merchants in Malaysia with a global reach. Quick PayPal facts: PayPal’s international business generated $840 million in revenue in Q3 2013, and international revenue grew at a rate of 19% year over year. For the eighth quarter in a row, PayPal’s international revenue represented more than half of PayPal’s total revenue, at 52%. 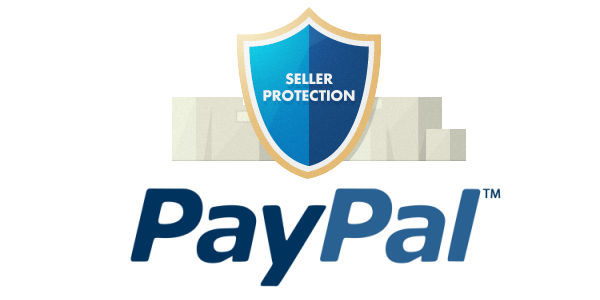 PayPal recently launched our Seller Protection policy in Malaysia (and throughout Asia Pacific). Seller Protection helps safeguard eligible merchants against risks when selling online, including fraudulent transactions and items not received by the buyer. Trust is a big part of online commerce, and our ability to protect both the buyer and seller in the same transaction ensures that merchants have more peace of mind when selling online. PayPal also has industry-leading anti-fraud technology which ensures that transactions are kept more secure. With a variety of security measures in place, including data encryption, anti-fraud risk models, Card Security Code (CSC), Verification and a team of several thousand anti-fraud specialists, unusual activity is detected on the PayPal system the moment it happens, and often before it affects merchants or consumers. PayPal has one of the lowest fraud loss rates in the online retail industry. Quick Paypal facts: PayPal maintained a very low loss rate of 0.30% or approximately one third of 1%. PayPal is an industry leader in mobilizing websites for merchants to improve user experience and thereby increase sales. 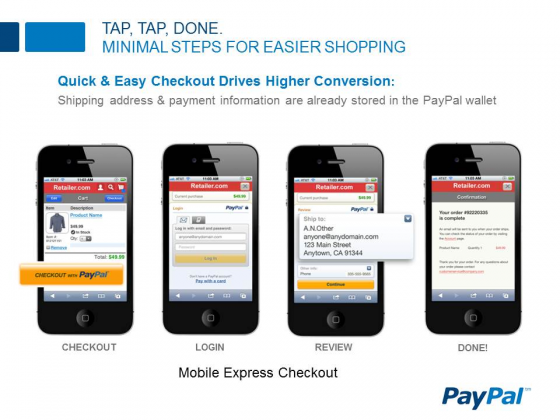 PayPal Mobile Payments Standard solution automatically provides all merchants that accept PayPal on their website today with a mobile payment checkout experience optimised for mobile devices, including iPhone, iPad, iPod and Android devices. PayPal Mobile Payments Standard automatically provides all merchants that accept PayPal on their website today with a mobile payment checkout experience optimised for mobile devices, including iPhone, iPad, iPod and Android devices. The recent price change was implemented as a result of continuing changes in the market, and in order to ensure PayPal can continue to bring innovation to of e-commerce and improve our current product offerings. Our rates continue to be competitive and we are constantly seeking new and innovative ways to bring value to our merchants, particularly for small businesses which have traditionally found it hard to accept payments. We will ensure that our services continue to be competitive and value-adding as we support businesses of all sizes to accept payments and grow. Quick PayPal facts: PayPal customers made 729 million transactions in Q3 2013, or almost 8 million payments every day. Note: Quick PayPal facts above is derived from PayPal Q3 2013 financial metrics.